Guys, do you love the brand of Sigelei? 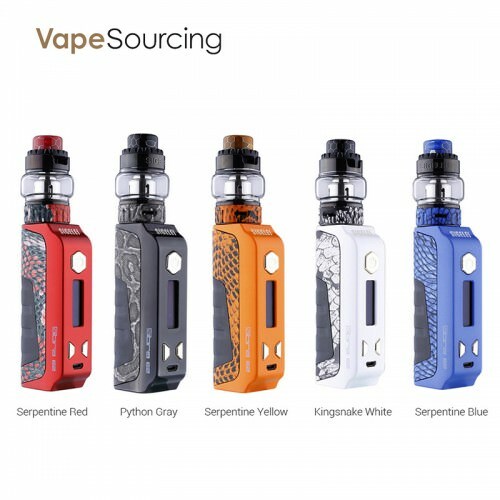 This time Sigelei broke the routine and has released their two newest vape kits- Sigelei Sibra E2 80W Kit and Sigelei Sibra F Kit. I believe you will love the two vape devices very much because of the charming appearance and good performance. So which one do you prefer after the comparison? 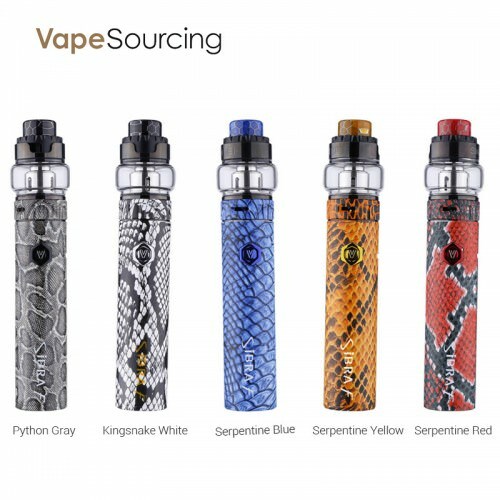 Sigelei Sibra E2 Kit is the lastest starter kit from Sigelei, it features a unique ergonomic design utilizing rubberized grips and cobra-skin appealing colorways. Constructed by the combination of Zinc alloy and plastic, it is very light and durable. Powered by a single 18650 battery, the Sibra E2 Kit can fire up from 10W to 80W and it is also capable of temperature controlled output that supports Nickel, Titanium, and multiple Stainless Steel materials. There is a 0.91 inch OLED color screen that features an expanded three column display matrix that provides an amount of essential data at a glance, from detailed battery state and battery life meters to output voltage, resistance, and wattage. As for the included Sigelei Sobra Mini Sub-Ohm Tank, it features 24mm diameter and 5.5ml e-juice capacity. With a 0.05 to 3.0-ohm atomizer resistance range. With the top-filling system and dual bottom adjustable airflow, Sibra E2 Kit provides you a convenient and big cloud vape experience with the best flavor. 5 colors are optional. Sigelei Sibra F a light and portable pen-style vape device, it keeps the bright-colored cobra pattern catching the people's eyes. Constructed by brass, 304, 303 stainless steel and glass, it is durable. Powered by a built-in 3000mAh battery, it can fire up to 26A max output currant and supports the range of resistance from 0.15ohm to 3 ohms. As for the included Sibra Mini Tank, it features 24mm diameter and 5.5ml maximum e-juice capacity. With the top-filling system and bottom adjustable airflow, it provides you a convenient and big cloud vape experience with the best flavor. Both of them have different shapes and different performance, so which one do you like better? Now Sigelei Sibra E2 Kit and Sigelei Sibra F Kit are sold on Vapesourcing at the low price for you to order one.